This professional-grade carpet cleaner does a great job of removing moisture from carpets and provides quick dry times. In our opinion, this is the best Bissell carpet cleaner overall. This comes practically assembled in the box. It also has flow indicators that let you know when the water tank is getting full and the detergent is running out. If you park the unit after cleaning, it may drip water that’s caught in the roller assembly. Perfect for spot cleaning tough stains from carpet, stairs, and upholstery, this Bissell carpet cleaner is a top pick. It has many of the same features of a full-size carpet cleaner but provides you with the ability to clean hard-to-reach spaces. This portable carpet cleaner allows you to clean anytime, anywhere. It comes with a professional-grade formula, 6-inch stair tool, and large-capacity tank. It has a compact design, making it easy to carry. The plastic hoses aren’t very durable and could be a bit longer. This model lacks Bissell Heatwave Technology, which is designed to maintain the temperature of the water throughout the cleaning process. This affordable, full-size Bissell carpet cleaner removes embedded dirt and tough stains with its 4-row, dual-rotating Dirt Lifter Power Brushes. It comes with a removable nozzle, lint screen, built-in measuring cup, trial-sized formula, and 1-year warranty. It also has a 2-in-1 water tank for easy filling and emptying and is fairly compact for added convenience. 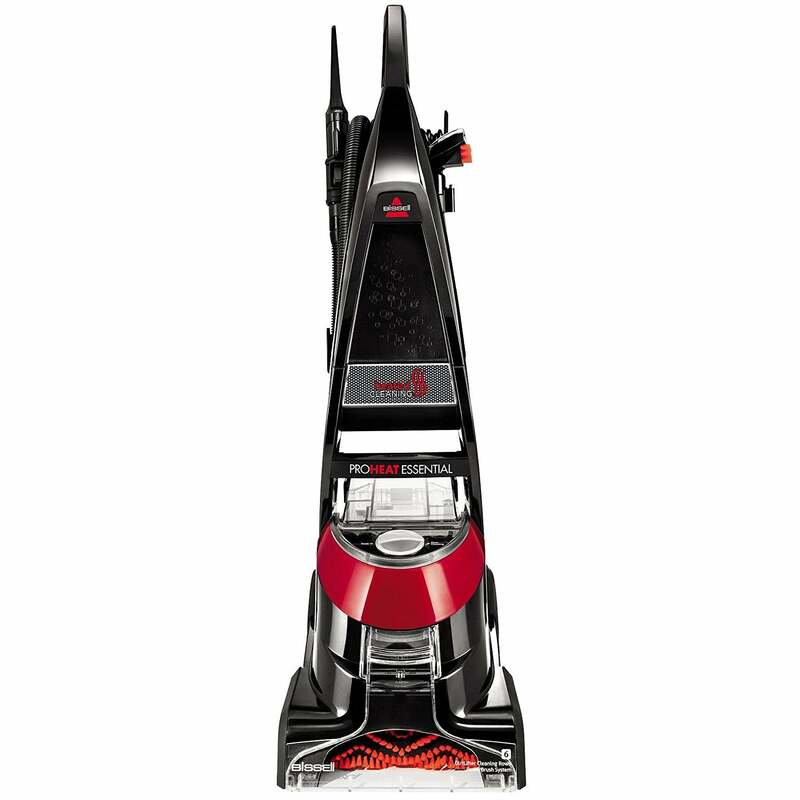 It has a smaller tank capacity and shorter cord length than other full-size Bissell carpet cleaners. It can’t clean upholstery or stairs but does a decent job of cleaning carpets. The best Bissell carpet cleaner for removing pet messes. Not only does it remove pet hair and stains, but it also eliminates pet odors. With a 2-in-1 Pet Upholstery Tool, the Bissell Pet Pro is designed for quick clean-ups and efficient carpet cleaning. Carpets dry in an hour with the Express Clean Mode and there’s a 25-foot power cord for max reach. 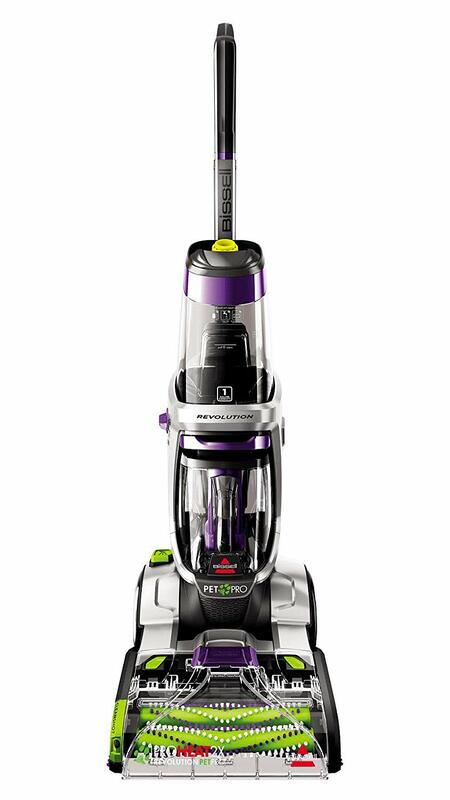 It’s heavier than other Bissell carpet cleaners and can be difficult to transport if you’re constantly moving up and down stairs. Strong spray and powerful suction combined with Heatwave Technology equals a great, all-around carpet cleaner. It has 6 cleaning rows of rotating power brushes plus edge sweep brushes that loosen and remove deep dirt from carpets. It comes with a tough stain tool and spraying crevice tool. The water tank is awkward to fill and the suction is average, so expect your carpets to take a while to dry. It also has trouble getting pet hair out of your carpets. 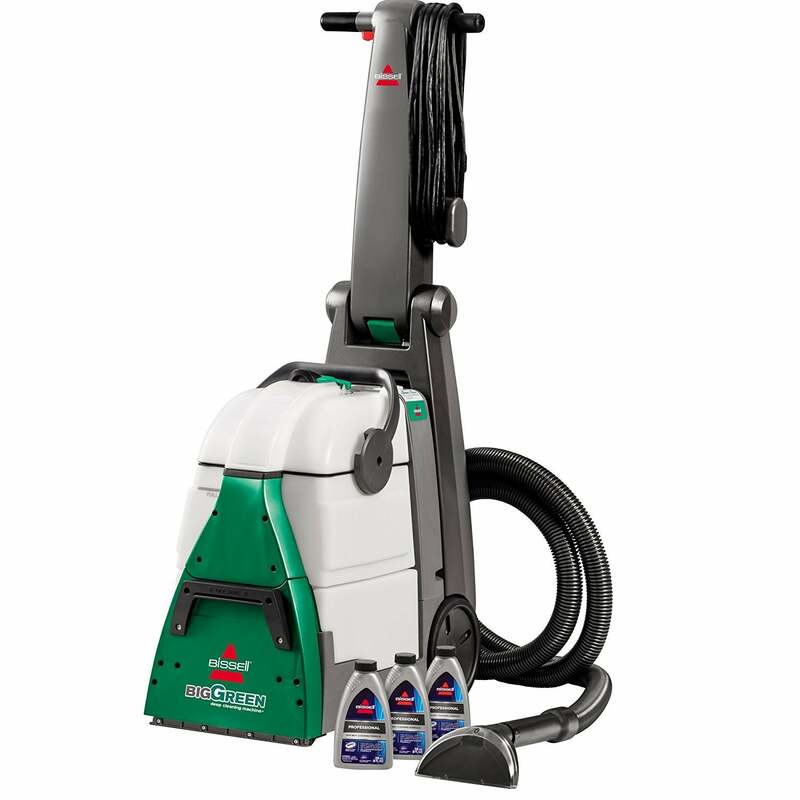 Bissell carpet cleaners are some of the best on the market, featuring powerful brushes, a water and chemical cleaner-based system, and multiple accessories that make cleaning your carpets a breeze. We understand the desire to keep carpets spotless, which is why we took it upon ourselves to test and review the best Bissell carpet cleaners available. We pored over thousands of Bissell carpet cleaner reviews and tested cleaners in our Research Lab to provide you with our top five picks. We’re all about making smart investments, which is why we recommend saving money on a limited-time rental and investing in your own carpet cleaner. We found the best machines for deep cleaning, pet stains, and hard floors. Some call steam cleaners the “miracle mop” and most of them live up to the hype. 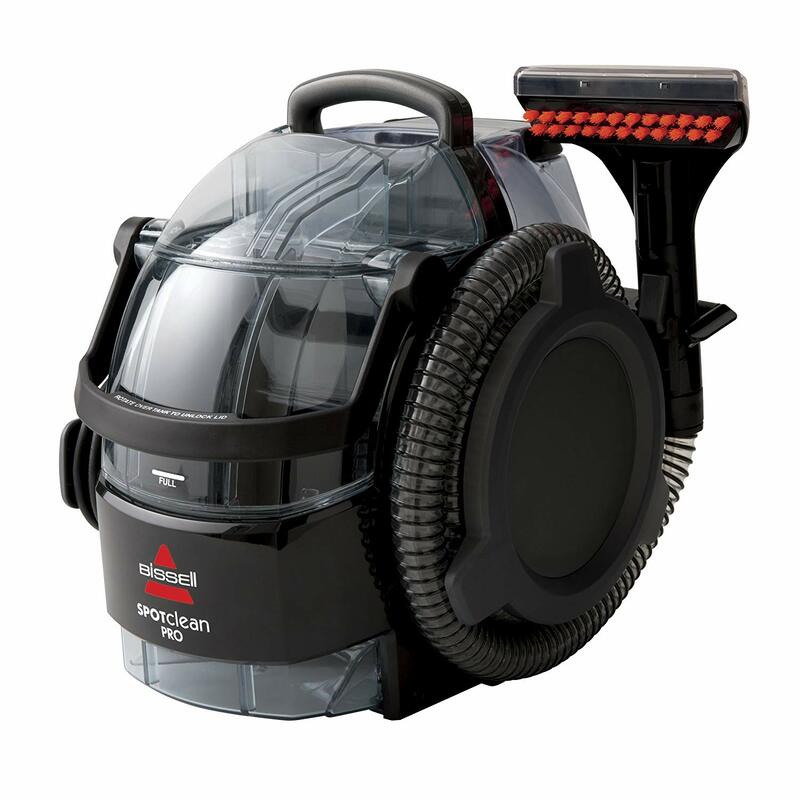 Learn how they work, which products we recommend, and answers to common questions we came across during our steam cleaner review.